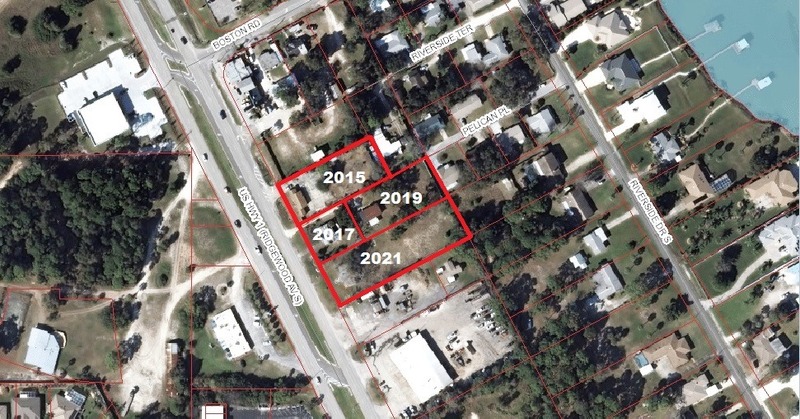 A combination of 4-Parcels: 2015, 2017, 2019 & 2021 S Ridgewood Avenue, a PRIME location on the US HWY 1 “Commercial Corridor”. GREAT visibility and a High Traffic Count! 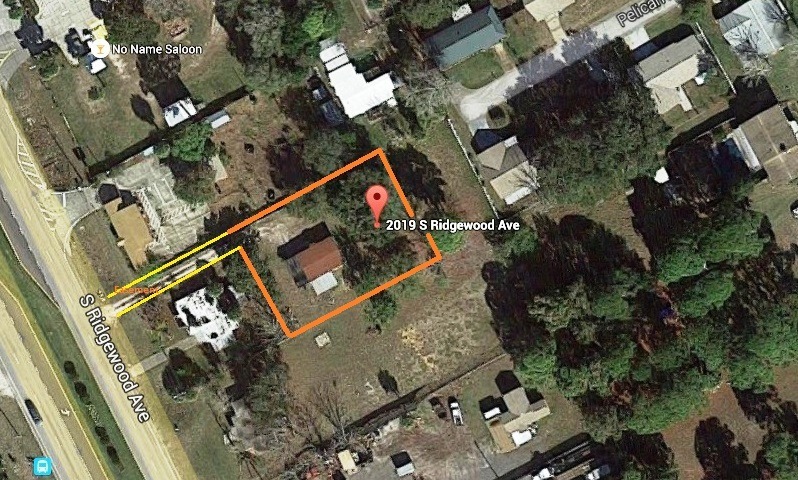 400’ +/- frontage and a total of 2.02 +/- acres. It’s EXTRAORDINARY! Zoning is B3, allowing for an unbelievable number of “Permitted Uses”. 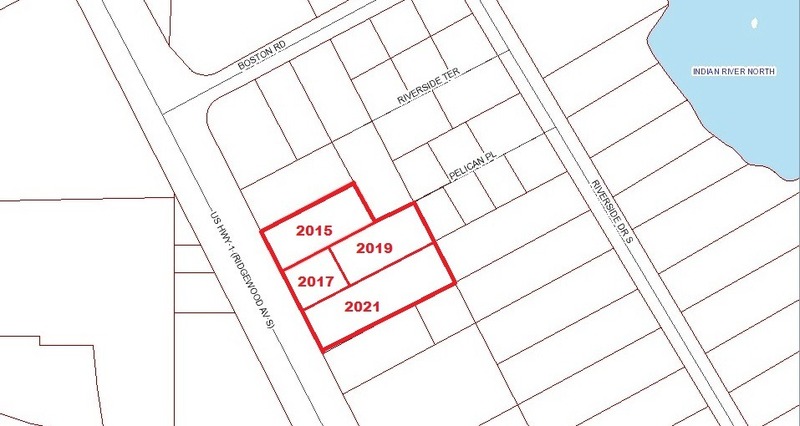 Additional “Conditional” and “Accessory” Uses provide even more possibilities for this property. 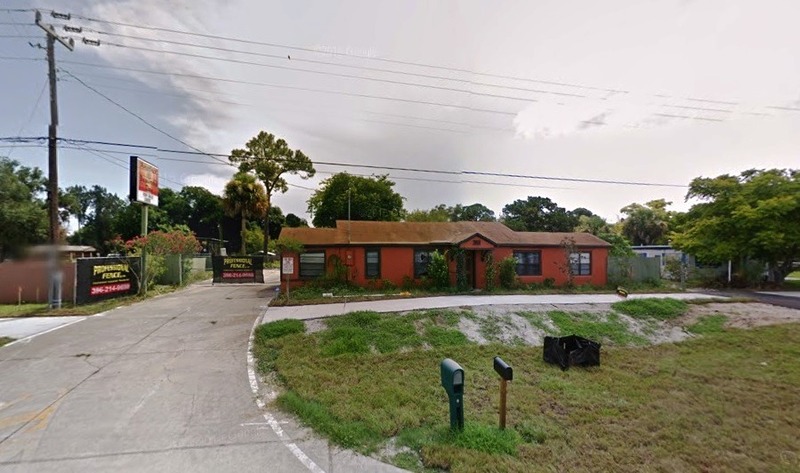 The majority of the buildings are included for land or impact value only, but the structures at 2015 S Ridgewood Avenue have recently been updated and are in great condition (see MLS #1014261 for complete description). The location says it all: across the street from Winn Dixie, Bank of America, Dunkin’ Donuts, a new auto parts store and in close proximity to Chick-fil-A, Walgreens, Publix, Dollar General and so much more! Just a short distance to South Riverside Drive and the Indian River. New sidewalks have been installed in front of all US-1/Ridgewood Avenue businesses, which afford the opportunity for more walking traffic. Location, Potential, Permitted Uses, US-1 Frontage, Acreage – this type of offering is almost unheard of. YOU envision the Scope of Possibilities and then “Let’s Make a Deal”! All measurements are approximate, deemed to be accurate but not verified. B3 Zoning Permitted Uses are included in the “Documents” attached to this listing. Survey available. 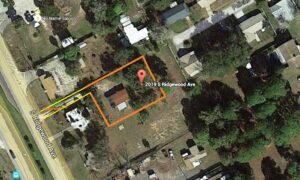 Condition: The majority of the buildings are included for land or impact value only, but the structures at 2015 S Ridgewood Avenue have recently been updated and are in great condition. Exterior: The majority of the buildings are included for land or impact value only, but the structures at 2015 S Ridgewood Avenue have recently been updated and are in great condition. Interior: The majority of the buildings are included for land or impact value only, but the structures at 2015 S Ridgewood Avenue have recently been updated and are in great condition. 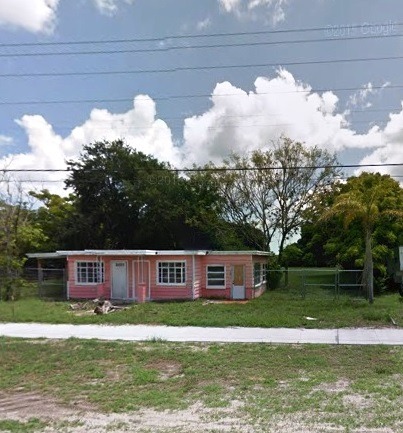 Location: PRIME location on the US HWY 1 “Commercial Corridor”. GREAT visibility and a High Traffic Count! The location says it all: across the street from Winn Dixie, Bank of America, Dunkin’ Donuts, a new auto parts store and in close proximity to Chick-fil-A, Walgreens, Publix, Dollar General and so much more! Just a short distance to South Riverside Drive and the Indian River. General: Zoning is B3, allowing for an unbelievable number of “Permitted Uses”. Additional “Conditional” and “Accessory” Uses provide even more possibilities for this property.Location, Potential, Permitted Uses, US-1 Frontage, Acreage - this type of offering is almost unheard of. 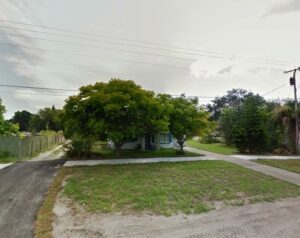 Previous ListingPRIME Location on the US Route-1 Commercial Corridor!Next ListingPRIME LOCATION! Professional Office Space for Lease on the Dunlawton Avenue Business/Medical Corridor.